Google and Barnes & Noble have teamed up to offer same-day deliveries on books for customers in West Los Angeles, San Francisco, and Manhattan. Google and Barnes & Noble have teamed up to offer same-day delivery on books, toys, games, and magazines just one day after Amazon announced it expanded its same-day delivery service from four cities to 10. Google's same-day deliveries are an add-on to Google Shopping Express, the tech company's online marketplace that delivers items to customers from local sellers. Unlike Amazon's "Get It Now" service, Google's same-day delivery service will be limited to customers in San Francisco, West Los Angeles, and Manhattan for now, The New York Times reported Thursday. In New York, Google Shopping Express plans to expand to Brooklyn and Queens. 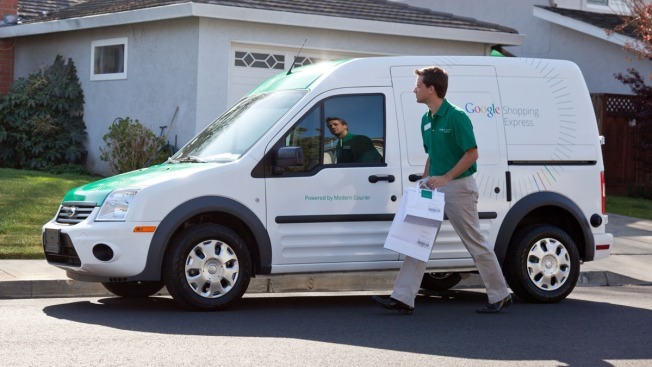 Google's express service asks customers to select one of three time windows for delivery between the hours of 9 a.m.- 1 p.m., 1 p.m. to 5 p.m., and 6 p.m. to 9 p.m. Only Manhattanites can get deliveries as late as 10 p.m. The same-day deliveries from Google Shopping Express are free for subscribers and cost $4.99 per delivery, per store for non-subscribers, which is cheaper than Amazon's pricing for same-day deliveries. Google is offering free membership to Google Shopping Express for six months, and has yet to announce a price for the subscription fee. Select Barnes & Noble stores participating in the arrangement with Google, including Manhattan's Union Square store, San Jose's Steven Creek Boulevard store, and the Marina del Rey store in Southern California, will have employees on site to take online orders for same-day delivery, according to the Times.